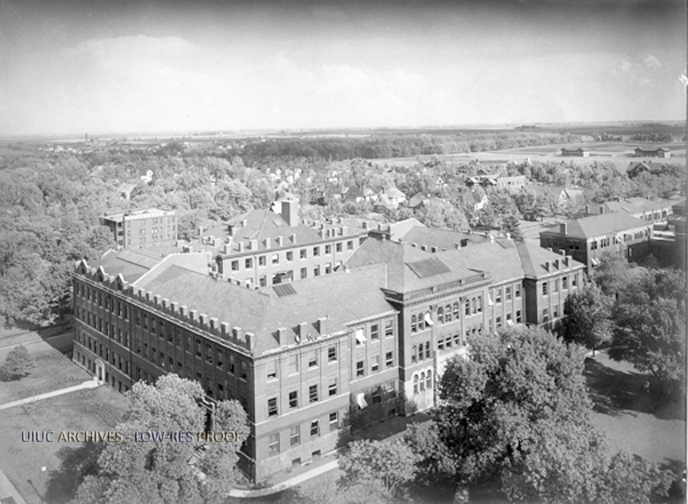 Noyes Laboratory of Chemistry Aerial view. At the time, the largest chemistry laboratory in the world used solely for the purposes of instruction and research, and is already overcrowded. Image courtesy University of Illinois Archives. If you can help to identify the copyright holder, please contact the University Archives.